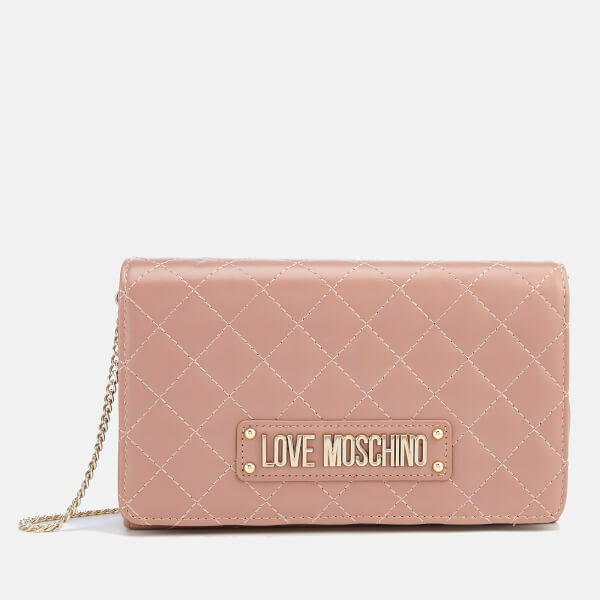 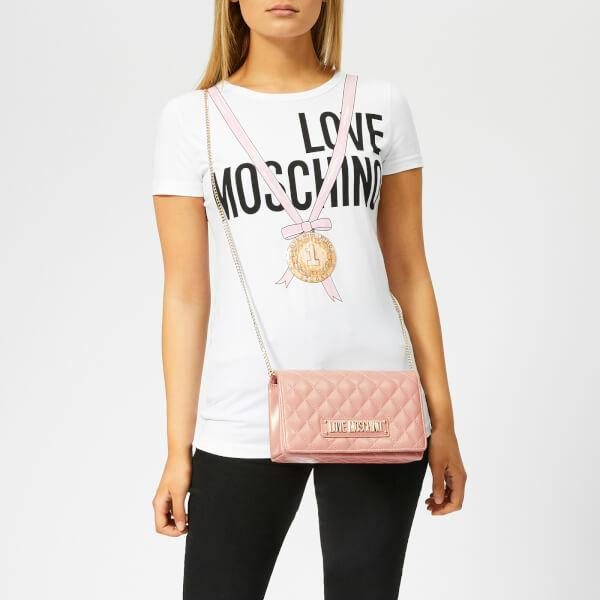 Made from blush pink PU with a diamond-quilted design, the Love Moschino shoulder bag is a versatile option for both daytime and evening. 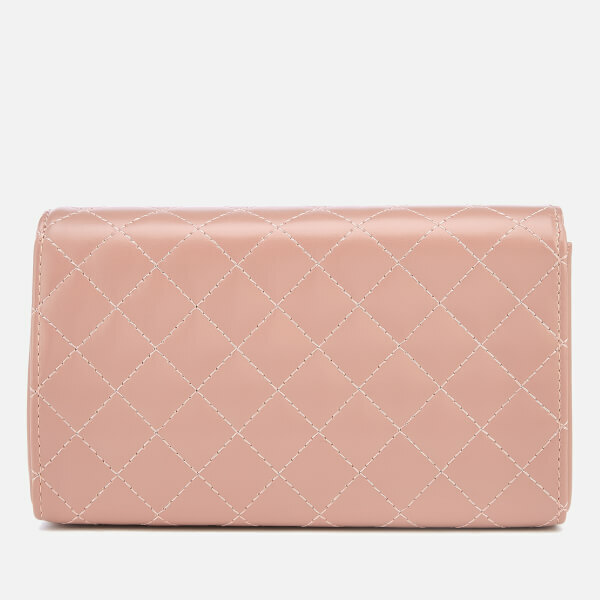 Designed with a magdot-secured front flap that lifts to reveal a contrast-lined interior with single slip pocket for extra storage. 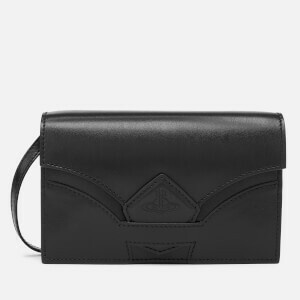 Fitted with a chain strap for easy carrying. 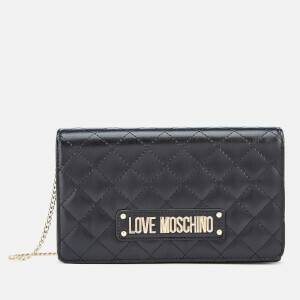 The faux leather bag is finished with gold-tone logo and metal studs to front, and smooth faux leather gussets. 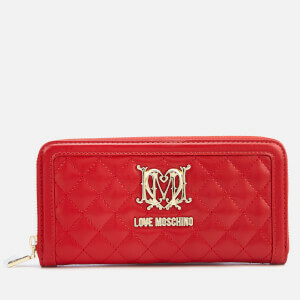 Arrives with a branded dust bag.